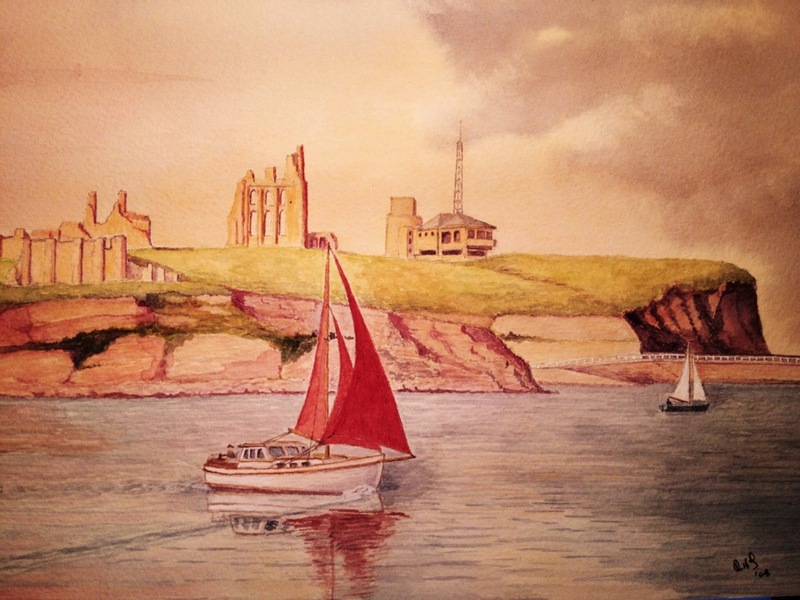 My watercolour of the mouth of the River Tyne showing the ruins of the Benedictine Priory which dates back to 7th Century. It was substantially rebuilt in 12th Century the original structure being damaged by successive raids by Danes. 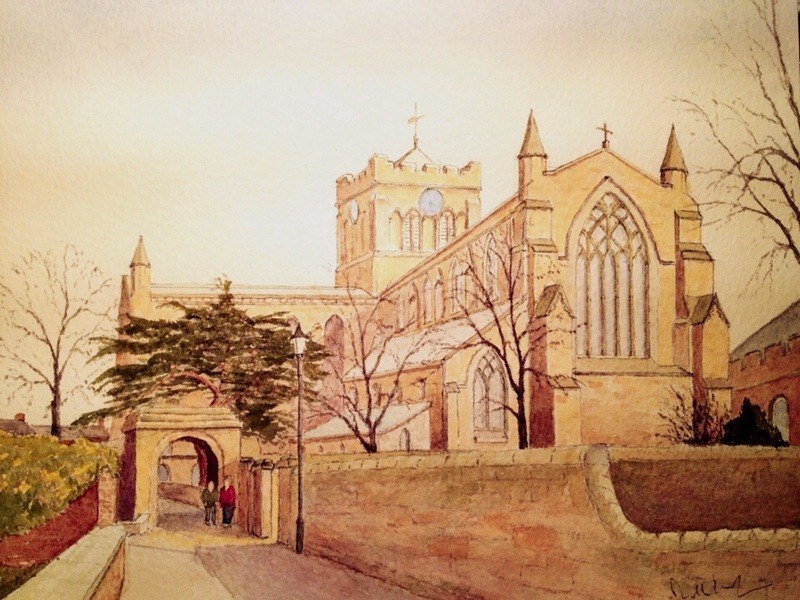 Hexham Abbey in Northumberland painted in watercolour. The original Saxon Abbey was a Benedictine Priory, in 7th century, built of stones taken from the remains of the Roman garrison town of Coria, three miles down the River Tyne at Corbridge. In 875 the Saxon Abbey was reduced to ruins by Danes only the crypt surviving to this day. A new Abbey, with an Augustian Priory, was built in the 12th and 13th centuries. 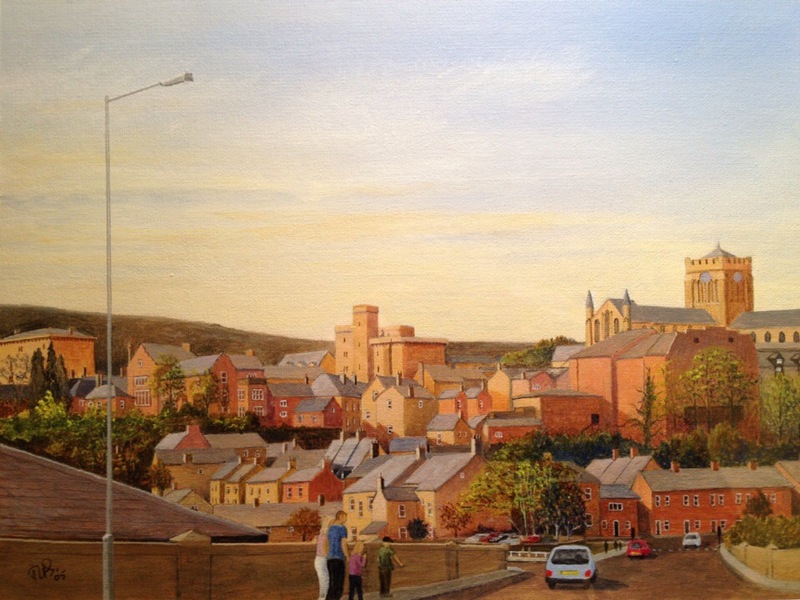 An oil painting of the mouth of the River Tyne, with ruins of the 7th century Benedictine Priory on the North cliff top. Tynemouth Priory became a burial place for kings of Northumbria in the 7th and 8th centuries. It was subsequently devastated by successive raids by Danes and substantially rebuilt in 11th and 12th centuries in Norman times.